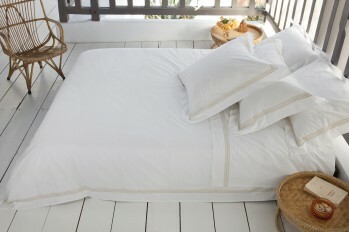 The Elba collection comes in white 100% long staple combed cotton with a triple lined cord embroidery. 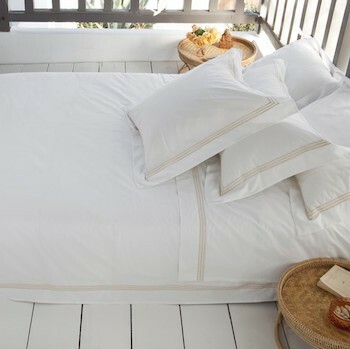 Light and crisp yet smooth to touch Elba keeps you warm in winter and fresh in summer addressing your needs and complementing all weather throughout the Australian seasons. Our white super king size fitted sheet has elastic around all four sides to stop shifting as well as an extra deep 40cm wall to accommodate all mattress depths including mattress toppers. 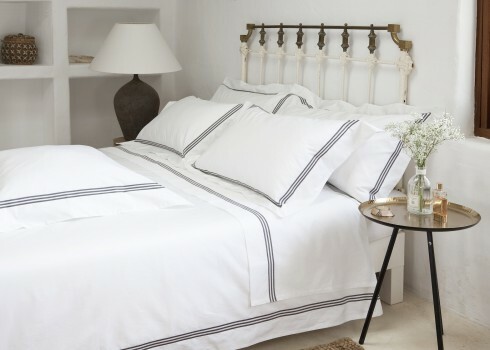 A perfect addition to your home linen collection Elba is very long lasting and launders beautifully becoming softer with every wash.
Quality tested to the stringent DEIA Living standards, our products are made with love to stand the test of time. Making the perfect gift, our 400 thread count long staple cotton percale comes beautifully presented in our DEIA Living gift boxes as we want to ensure you enjoy your purchase from the moment it arrives. 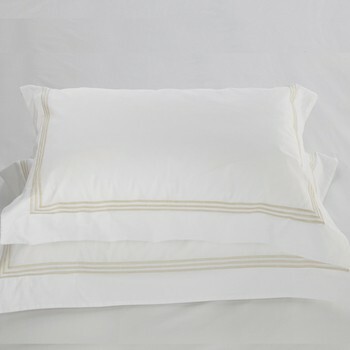 Don’t forget to co-ordinate your super king size fitted sheet with the whole Elba range by adding our quilt cover, flat sheet or mix of pillowcases.